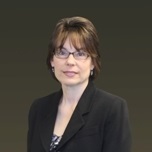 Gayla joined the company in 2006 after a 16 year career in the Human Resources field. She worked for Canon USA and Earthlink as well as other regional firms in the metro Washington, DC area. During her career she earned her Senior Professional in Human Resources (SPHR) designation. At her last two company's she was the Head of Human Resources responsible for all aspects of the firms Human Resources needs. She has her Masters Degree in Business Administration and is the firm's Office Manager.